Since 2005, our mission has been to become a leader in customer satisfaction within the HVAC industry. Boston Air Products, LLC is an HVAC manufacturer's representative of air side equipment located in Bridgewater, Massachusetts. Our coverage area is within the New England region. We assist our customers with the selection and application of a wide range of products and solutions. Boston Air Products represents a variety of HVAC products. Our goal is to find the right product for the project to meet our customer’s needs. Our expertise in the field will help guide our clients to the right solution. We work with our customers to provide the product and support needed to meet the HVAC systems requirements. Boston Air Products represents a variety of products to meet the market demands for efficiency, quality and cost effectiveness. We support all our product lines with our application knowledge and service. 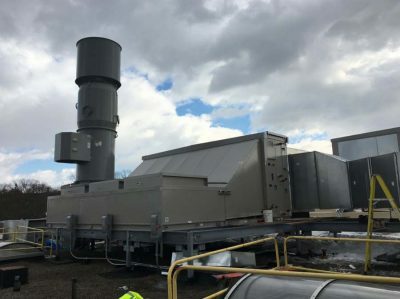 At Boston Air Products, we represent a variety of airside HVAC products that range from grilles, registers and diffusers (RGDs) to louvers and dampers. We provide specialty duct work solutions for custom single wall and double wall systems, fire protection and life safety. We also have systems for applications such as laboratory, bio-safety and corrosive exhaust. We can provide fiberglass reinforced plastic (FRP), stainless steel for labs and even fabric duct systems. Boston Air Products has solutions for air control with VAV boxes, fan powered boxes, chilled beams, and fan coils. 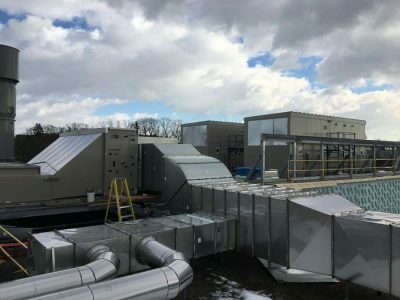 Our many years of experience with applications for a variety of customers allows us to provide unmatched support in the custom air handling unit and custom penthouse markets. 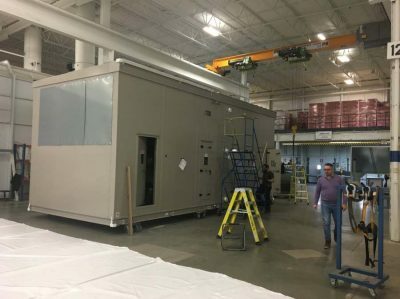 We can provide custom air handling units (AHUs), energy recovery units(ERUs) and Dedicated Outside Air Systems (DOAS). 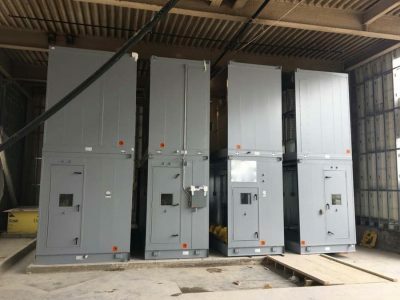 We can provide engineering support for custom enclosures that include AHUs, Chillers, Boilers, Pumps, Electrical Systems and Controls. Our manufacturers have the ability to provide a wide array of cost-effective solutions for challenging projects. We have a modular solution.